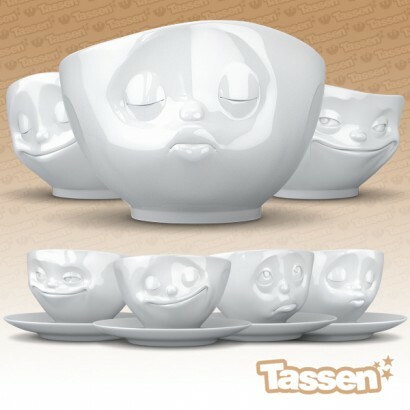 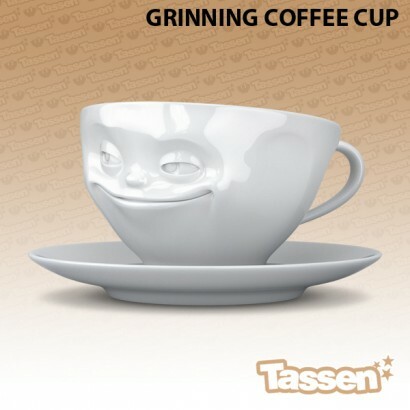 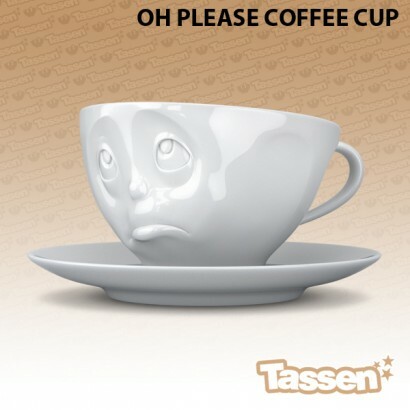 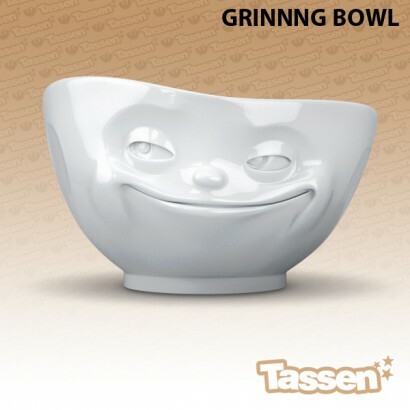 Made from hard porcelain for durability, these gorgeous coffee cups and bowls feature fun facial expressions to make a charming Emotion Breakfast Set. 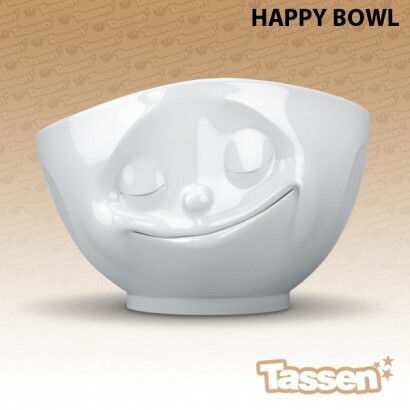 Set the table and allocate an emotion to each member of the household depending upon their mood or personality, choose from the Kissing Bowl, Happy Bowl, Sulking Bowl, Grinning Bowl and compliment with the Oh Please Coffee Cup, the Kissing Cup, the Happy Cup or the Grinning Cup, there's even an Out of Control large bowl that's ideal for fruit or serving up dishes! 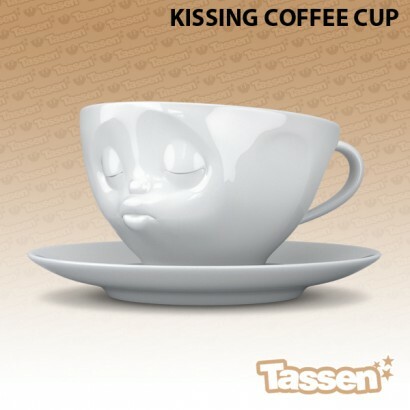 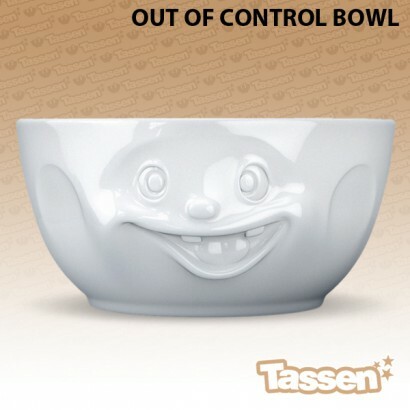 Cute and quirky these breakfast bowls and coffee cups are made from hard porcelain to survive the daily wear and tear of family life, and very high quality, they're dishwasher and microwave safe. 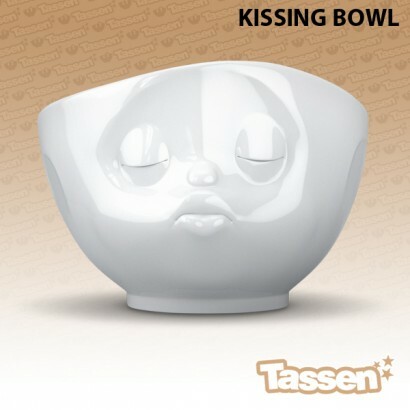 Choose from six emotions: kissing, happy, grinning, sulking, oh please or out of control.